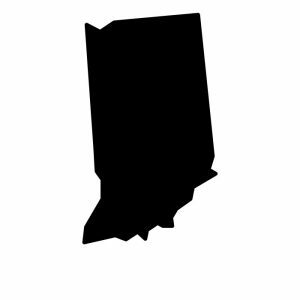 Prior to 2007, Indiana was one of only seven states in which there had been no court review of the constitutionality of the state’s school funding system. A 1987 case, Lake Central v. State, No. 56 C01-8704-CP81 (Newton Cir. Ct.), was withdrawn after the State developed a new funding system. In January 2007, an Indiana judge granted – in an extremely brief opinion – the state’s motion to dismiss a school funding lawsuit brought against the state, ruling that school funding is a “political question” that is not appropriate for review by the courts. Plaintiffs in Bonner v. Daniels argued that the state’s school funding system is insufficient to provide all students an adequate education, as required by the state constitution. Named defendants in the case were Governor Mitch Daniels, Superintendent of Public Instruction Suellen K. Reed, and the Indiana Board of Education. Judge Cale Bradford, the presiding judge, ruled that Governor Daniels and Superintendent Reed are not responsible for the funding formula and thus were not proper defendants. As for the plaintiff’s claim against the remaining defendant, Judge Bradford noted that it “seems to be, in reality, dissatisfaction with how the formula is weighed and implemented by the State Board of Education, not the formula itself.” Saying that such decisions were political and did not lend themselves to a likely judicial remedy, Judge Bradford ruled that he could not order a remedy out of respect for separation of powers. Plaintiffs attorneys have said they will appeal. On May 2, 2008 the Indiana Court of Appeals reversed the lower court’s holding that the separation of powers doctrine precludes the courts from considering plaintiffs’ claims that children throughout the state are being denied their constitutional right to a quality education and ruled that these issues are justiciable. In February 2010, three suburban school districts and parents of students attending their schools filed a suit after the state announced budget cuts that they allege disproportionately affect their schools; the complaint claims that the system as a whole, exacerbated by the recent cuts, favors urban districts like Indianapolis and denies their students a “uniform education” as well as other constitutional protections. Plaintiffs in this new case, Hamilton Southeastern Schools, et al. v. Daniels, specifically take issue with 1) the adjusted “average daily membership” (ADM) and “complexity index” components of Indiana’s funding formula, 2) 2010 amendments that, at the same time, lower base-line per-pupil funding for all schools and provide “restoration grants” to some other districts to mitigate the cuts, and 3) the prohibition on using property tax revenues for general school expenses like teacher salaries. To succeed in this case, the plaintiffs will have to overcome the strong precedent of the state Supreme Court’s Bonner decision. In November 2010, a Hamilton County Judge denied a motion to dismiss by Governor Mitch Daniels. The court’s decision focuses on the justiciability of the current case in relation to Bonner v. Daniels. The decision by Superior Court Judge Steven Nathan states that in Bonner, “the Supreme Court did not have before it whether the same Constitutional language…the issue in this case is not equality of educational outcomes, as it was in Bonner. The issue here is uniformity of funding.” The lawsuit will proceed to trial barring settlement or the Defendant’s successful appeal to a higher court. Before the judge could determine the merits of the case, however, the plaintiff school districts dropped the lawsuit in May 2011. They decided to do so in response to changes in the school funding formula made by the state legislature. The new changes adjust the formula by paying schools only for students actually enrolled, eliminating the phase-out of funding received by districts with declining enrollments. Hamilton Southeastern Superintendent Brian Smith spoke on behalf of the districts in saying he was pleased with the new school funding formula and believes it will, in time, bring uniformity in per-student funding. 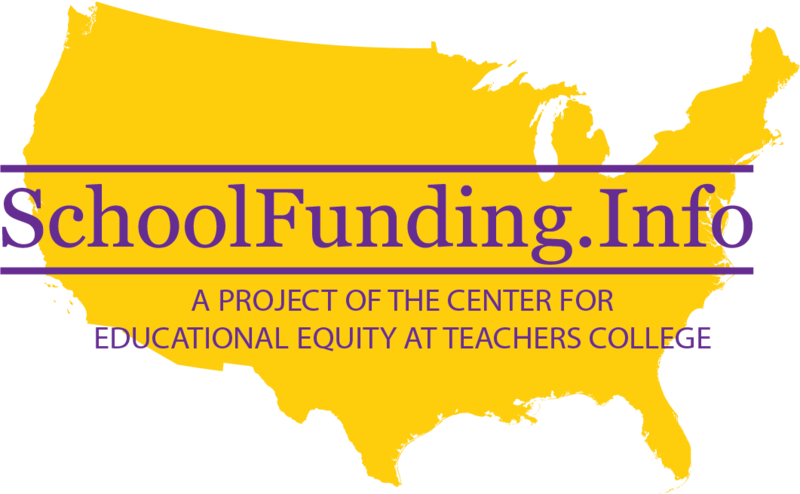 The National Center for Education Statistics (NCES) Report, “Public School Finance Programs of the United States and Canada,” describes the Indiana school funding system.